When I designed this EPP pattern I named it ‘Jewel’ because I thought it looked like a square cut precious stone (very original, I know…). However, once I started sewing I really liked the way it looked without the corners and, thus, it now looks completely different. You may also have noticed that I changed the way I used the colours. I often start with a plan and then deviate from it. It does mean the piece looks very different to what I had originally planned. I like both versions and may still go back to the rainbow version one day. 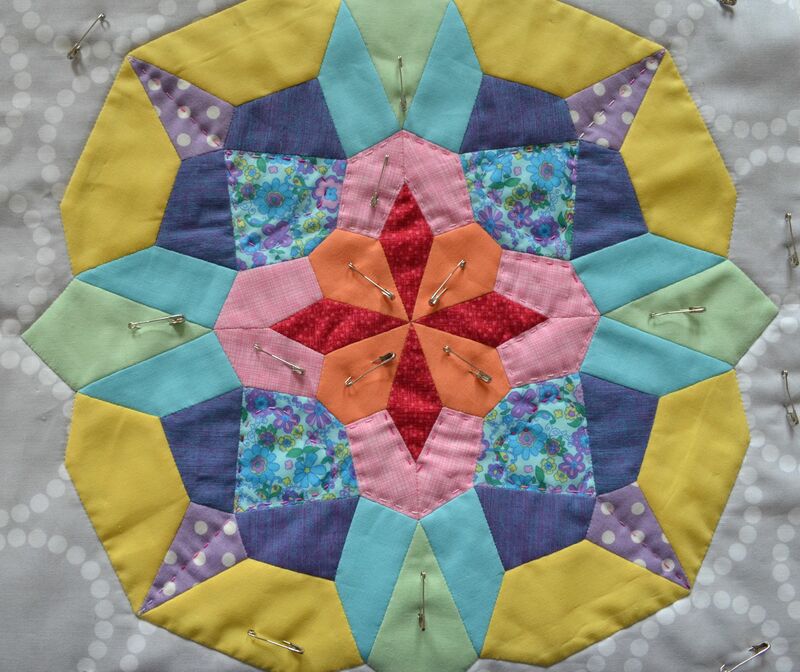 This is the first time I’ve hand quilted any of my EPP minis and I really like the look of it. I think there may be a few more in my future. 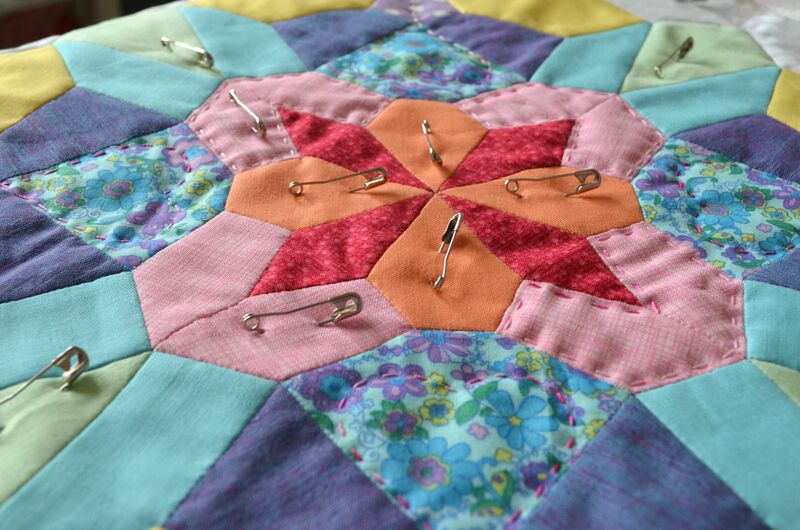 I’m hoping to have this finished tomorrow as I need a few more colours of thread for the quilting. It’ll get its proper ‘ta dah’ moment then. 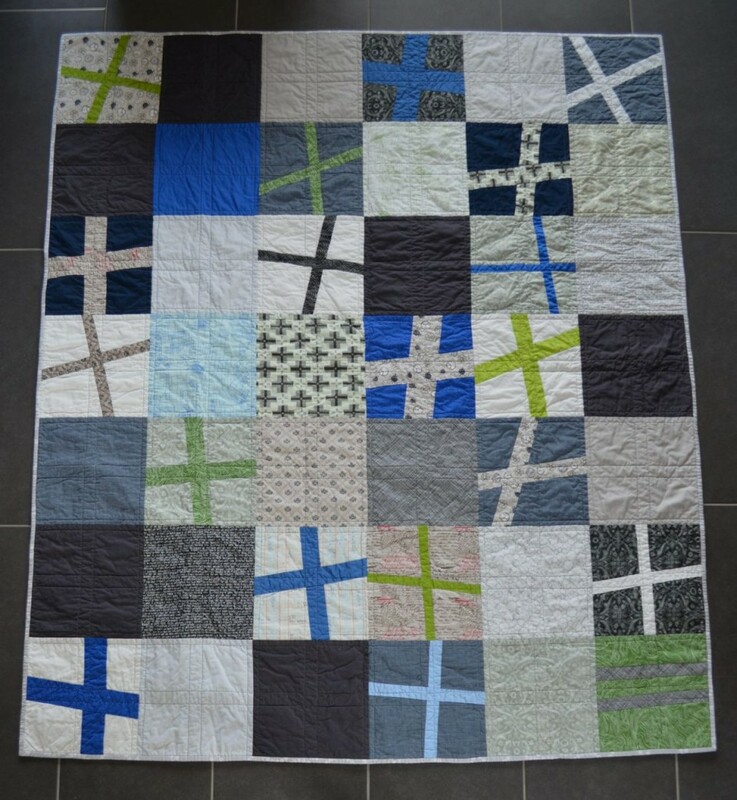 My nephew turned eighteen at the beginning of February and a few days earlier I decided that I was going to make him a quilt. A bit last minute, I know. It had to be a quick make and I thought a wonky plus quilt would be fun. My stash has a lot of girly fabric in it so finding proper ‘man fabrics’ was a little difficult. I managed, however, to find some Architextures by Carolyn Friedlander and Curious Nature by Parson Gray. 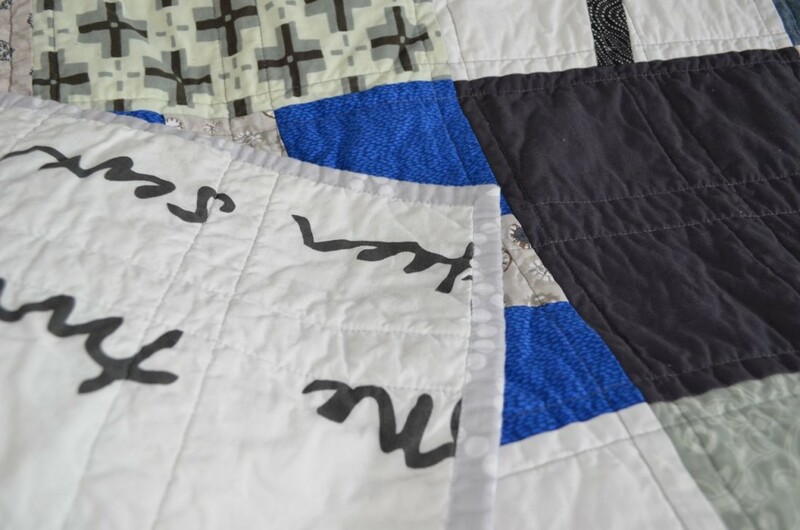 Some Kona solids in blues, greens, greys and off white, Sketch in two different greys and two fat quarters from my LQS meant that I had enough for a biggish quilt. I really enjoyed making the plusses, eighteen in total, and the one equal sign. At first I was going to make all wonky plusses but after making nine or ten and laying them out, they were too busy for my liking. 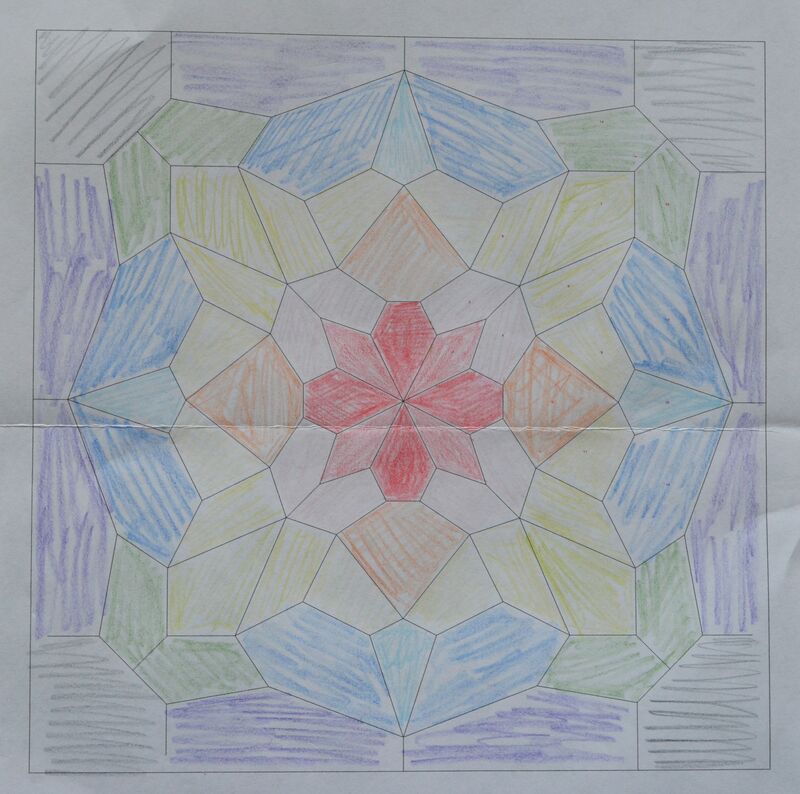 I decided to make eighteen plusses and leave the rest of the squares plain. In the end I added the equal sign; just because I can. 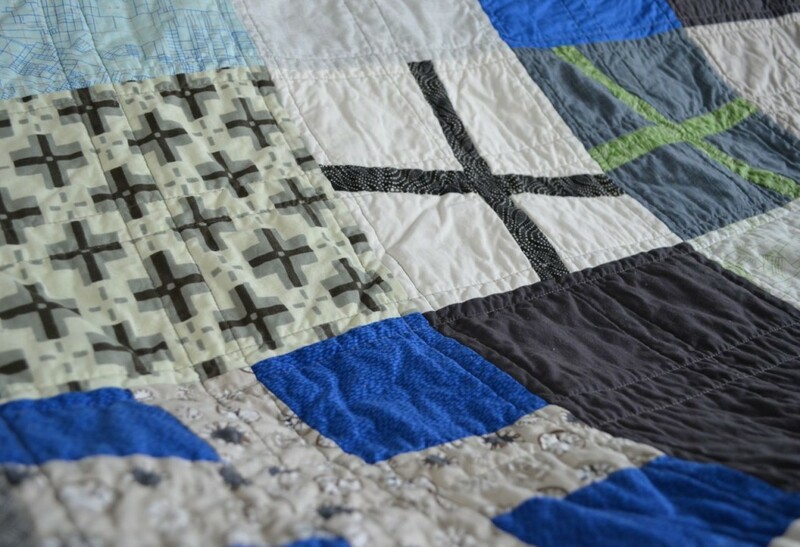 The quilting is straight lines 0.5″ on either side of the seam and then another two lines 1″ apart throughout the middle of the squares. I wanted to keep the quilt modern and, by not quilting too many lines, keep it nice and soft. 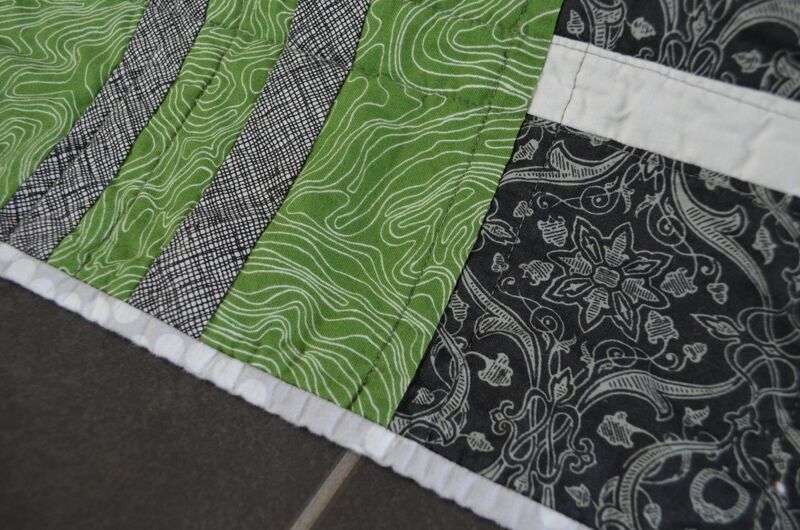 The quilt was quilted with Aurifil 50wt in 5004, a dark grey, on the top and 2600 in the bobbin. The backing is the oh so popular Britten numbers by Ikea. I thought it would fit this quilt perfectly. The binding is Pearl Bracelets by Lizzie House in Hi Ho Silver which I bought at Simply Solids. 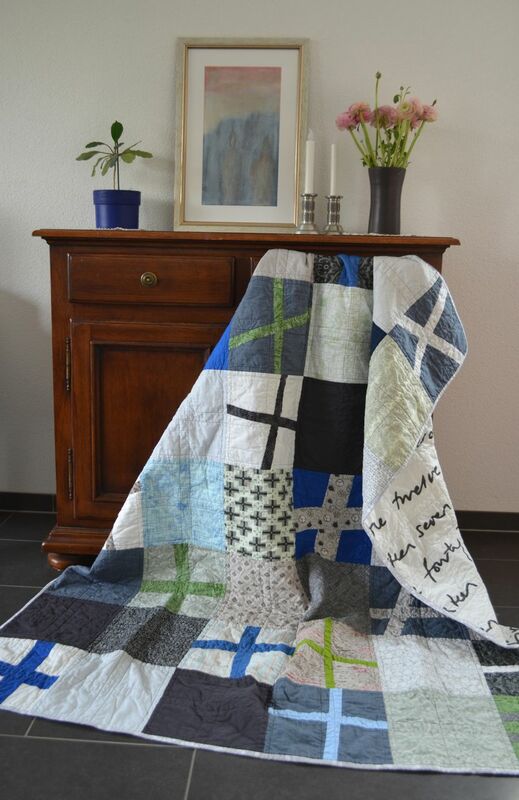 I love this quilt and I really hope that Leon will too. He’s a great lad who asked me to teach him to sew before I moved to Switzerland. We managed to make a pin cushion and cushion cover which he literally finished minutes before the removal company arrived to collect all my boxes. The quilt is a little smaller than I would have liked (Leon is tall) but I ran out of fabrics. In the end it finished at 57″ x 66″.